Christene Nissen has witnessed firsthand the lowering of anxiety in her clients with the work of her therapy dogs…Lionel and Lucy who have assisted working in counselling sessions to help adults and children who have experienced trauma. Children feel a connection and often bond with these little therapy dogs immediately. 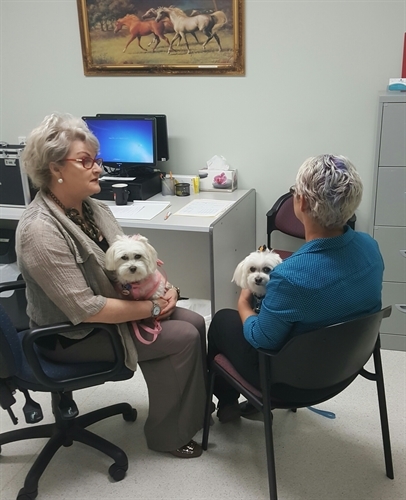 Our clients who have suffered trauma find Lucy and Lionel a calming presence. By focusing on the therapy dogs they are able to tell their story. The “rocking’’ motion of nursing the dogs create a safe and reassuring state of safe emotional wellness. These little guys are well travelled and bring much happiness into otherwise sad lives.